Located within towering stands of conifers, our world-class, 18-hole championship golf course is designed to challenge golfers of any skill level! 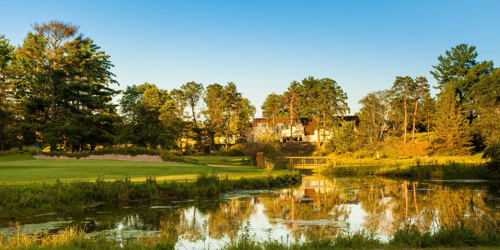 Stevens Point Country Club has held multiple Wisconsin State Opens, the most recent being in 2000 and was won by PGA Tour player Steve Stricker. Lodging: Stevens Point Country Club has partnered with several lodging options in the area. Please inquire for a custom stay and play package. When calling (715) 345-8900, please mention you saw this golf package on GolfWisconsin.com and mention promo code: GolfWisconsin.com. Stevens Point Country Club reserves the right to change price and offer at anytime. Prices and offer are subject to change without notice. GolfWisconsin.com is not responsible for errors posted in this golf package.